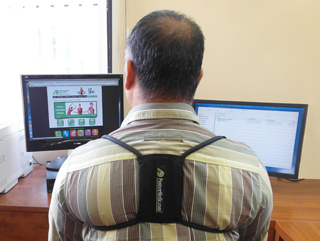 Overuse injuries develop over time, and may set in more quickly if you spend long hours sitting at a computer at home, as well as at work.To protect your neck and back, wear the Posture Medic to stabilize when stilling at your computer for more than 20 minutes at a time. 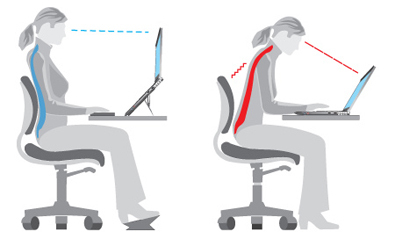 Poor posture causes 40% of worker's compensation costs. 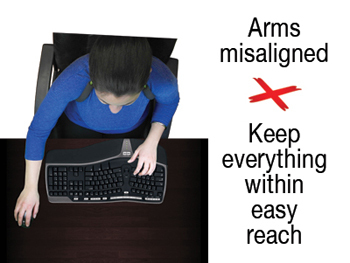 Crossing your legs can lead to poor circulation & misaligned posture. 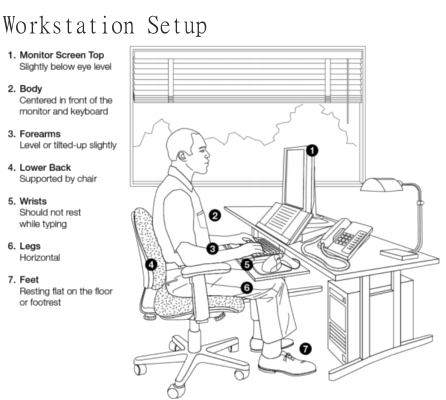 Over 70% of office workers sit at their desks for more than 5 hours a day. 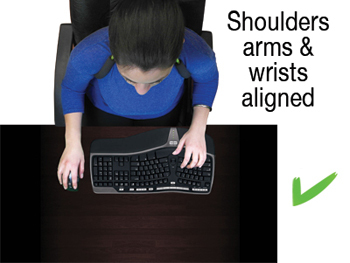 Productivity increases by 11% with proper workplace ergonomics. 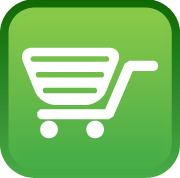 The average adult head weighs 10-12lbs. Your spine has 24 vertebrae. The human brain requires 20% of the body's oxygen. The body is not designed to sit still, even in correct position, for long periods of time. 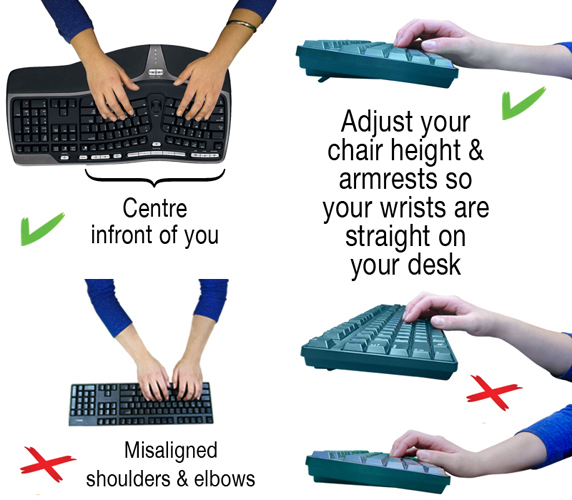 Be sure to change your seated position occasionally. Stand up and walk around or stretch whenever you start to feel tired. 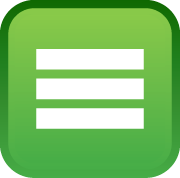 Depending on your work and environment, you may want to take breaks. General: Stand up and stretch your arms over your head. Lean to each side. Neck: Tilt your head to one side (ear to shoulder). Hold. Relax. Repeat on other side. 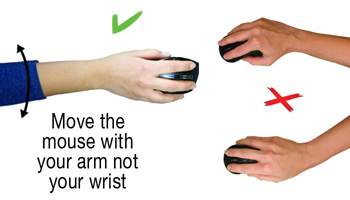 Wrists: Hold one arm straight out in front of you; pull that hand backwards with other one, then pull downward. Hold. Relax. 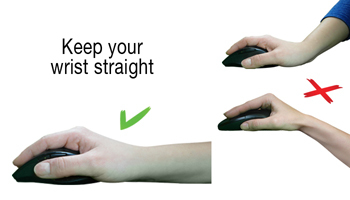 Repeat with the other hand.